The drove from Peru to McHenry is just over a couple hours. I made arrangements to meet Carol late morning so I had plenty of time before I had to be there. I got up at 5:30 and was out if the parking lot of the Flying-J with A shower by 6:15. 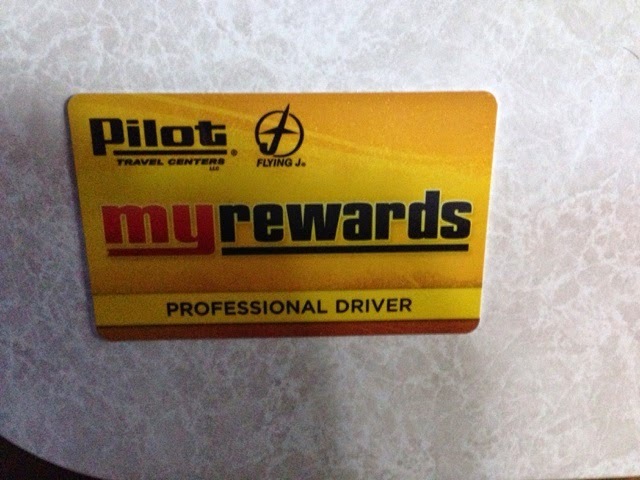 Before I left I decided to get a Pilot/Flying-J Loyality card. I am getting this card mostly for future driving as u get a discount today via my good Sam Card. But I plan to let the Good Sam Card expire then I will just have the Piolet/Flying-J for discounts. As usual to McDonalds one exit west on I80 for morning mail and downloads. I stayed there until my drive time would get me to Carol's about 10:30 to 11:00 am. My trip continued norton along I39 until I got to US20. The same road that passes a tosses southern Massachisetts. I head east in US 20 for awhile until it droops south towards Chicago. I pass a large Chrysler manufacturing plant with a large lot of full-size Jeeps in the parking lot and double height train cars with sides on them ready to be loaded. With my turn off US 20 I make my way along IL county roads in a series of, head east then north then continue this pattern until I turn north by a train station Denise and I came out on a number of years ago when she had a conference in Chicago and we took the train to visit Carol. 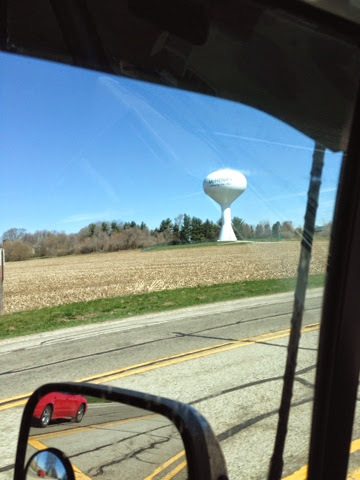 I am heading into McHenry and like many towns I had been driving through, it has an elevated water tower as the land is relatively flat. As you approach town you find new commercial & retail buildings then houses and finally the core central business district. I have been to McHenry a number of times other than when Denise was at her conference. My first visit was around 1960 when my mom & dad, my sister & I, and my grandmother & grandfather came out in a car to visit Carol & her husband Lee a few years after they were married and moved here where Lee's family was from. I never forgot my first trip out as it was in a 50's Chevrolet with 6 people it for so many miles. I would have been about 10 or so. My grandfather was not well with heart conditions, so he and I spent time hanging out together. On this trip we stopped at the Lincoln Park Zoo where while I sat on a bench with my grandfather, and the others walked around, we met the famous Marlin Perkins, who was the host of the TV show Wild Kingdom. As a kid we all get facinated by things. In my case on this trip was the milk machine on the corner by the gas station just down the street from Carol and Lee's house in the center of town. This is so imprinted in my mind as At the time, I only thought milk was something delivered to the house like at home or at grocery stores. Yet before me was a machine the size of a small yard shed that you put in money and out drops a container of milk. What also was different was it was a new plastic coated carton not a bottle. The milk machine would have been on the left of the station near where the white fenced in area is. Oh I was so affixed on this machine and it's magic it had that I never forgot it and each time over the years I would use it as my reference. Saddly like many boyhood dreams it eventually disappeared but the memory lives on, at least in my mind. Carol is a 70 something light framed woman, thin and appears ageless every time I see her she looks the same. Her brawly husband Lee died many years ago leaving her in loneliness. They didn't have children but they had each other. The Cooney family was a prominent family in town and at that time it was only a few thousand people. Now McHenry is over 20 thousand with the sprawl that came out from Chicago. Lee was one of my male figures I looked up to as he was a kind no nonsense man with big stature. Of course, I was small but what I liked most about him was that he treated me like one of the rest and not a kid. He smiled often and laughed with a sound that you knew he was happy. His signature handlebar mustache was as wide as his face. His passing devastated Carol, but she has done well over the years to manage and divest in all Lee's business dealings and create a life where she volunteers and is part of the community. Lee was a contractor/developer and he was a man who was so well built that I remember him tossing shingle bundles to the roof of a single story building he was building. Carol lives in their house of over 50 years located on a busy street that has widened over the years. Today the state is widening it again to 5 lanes. This means she had to negotiate with the state to give up land in front of the house. 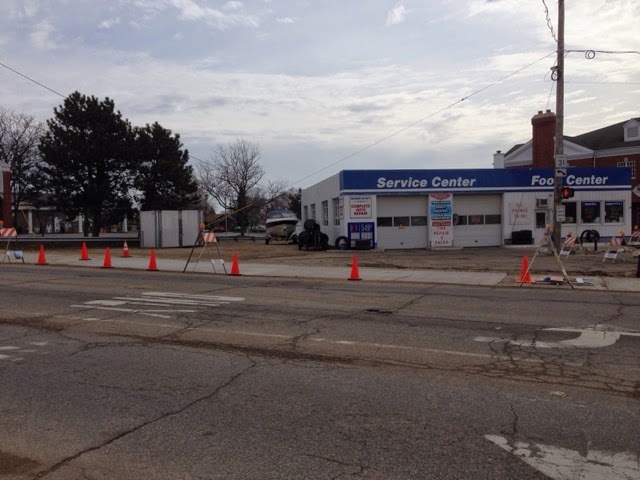 At one time it was two lanes with parking on either side. Long gone is street side parking. I parked the camper in the back yard for the night and Carol made dinner and we watched a movie on the TV. When I had called her for her birthday last December and told her about my planned trip she asked for me to stop by. The other day I called to follow up on visiting and arranging a convienient time and I could tell she was excited about my visit. It's too bad that time passes us by and our lives get busy and this impacts keeping our relationships current. Facebook has helped me. I showed Carol my iPad and suggested that one way to stay current was to use the internet. Specifically Skype as she likes the phone and the visual image would give her a addition demension of staying in touch. She currently only has phone. No cable or internet/computer. I spent time showing her my blog and all the pictures I have taken. 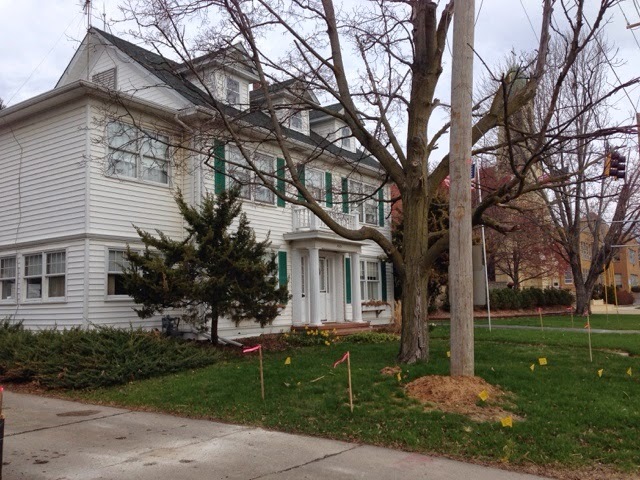 Then pictures of the family and home where she also lived with her sister so many years ago. Tomorrow I make my way further east. I'm having a hard time with the cold weather, having acclimated to the warmth of the southwest.